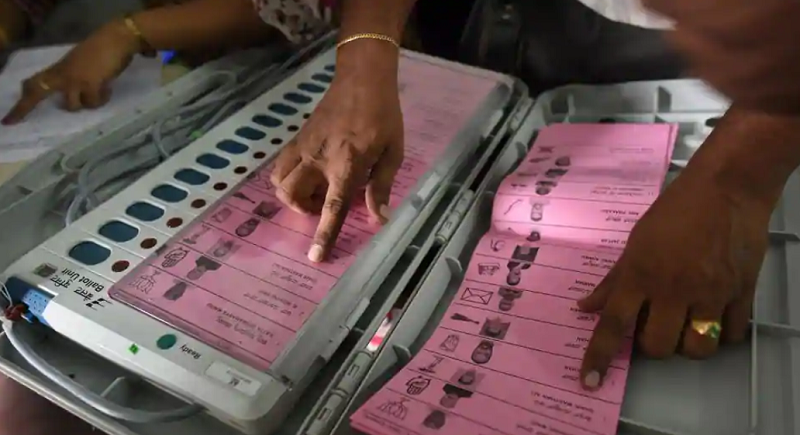 New Delhi, February 5: With the Lok Sabha elections round the land, the issues relating to the EVMs and VVPATs had been on flames. The Election Commission of India underway the authenticity pressures citing the demands of the ballot papers amidst the upheading elections, met some of the party representatives on Monday. A delegation of representatives of some national and state level recognised political parties met the Election Commission of India at Nirvachan Sadan in the evenings. The Commission heard the concerns of the Representatives regarding the demands related to the counting of Voter Verifiable Paper Audit Trail machine (VVPAT) slips. The Commission yesterday assured the parties that issues raised by them would be deliberated and examined. “While considering the averments made by the oppositions, the Commission shall also keep in view the pronouncements made by various Courts as well as the report expected shortly from the Indian Statistical Institute on the subject besides the overall administrative and operational feasibility on the ground, before firming up any response”, stated the official report. The opposition parties had earlier sought moving back to the the ballot paper system, but after the Election Commission made it clear that there was no possibility of going back to the old system, they changed their strategy and are now demanding matching of 50 per cent EVMs with VVPAT. The ECI, had however also cleared that machines were foolproof. During the meeting with CEC, Jagan Mohan Reddy, opposition leader in Andhra Pradesh state and YSRC president, who led a delegation of party leaders, gave three separate representations on the manipulation of electoral rolls, misuse of government machinery and how police officers are intimidating Opposition leaders. The delegation, meeting Arora included Ghulam Nabi Azad, Mallikarjun Kharge, Ahmed Patel and Anand Sharma of Congress, Chandrababu Naidu of TDP, Majid Memon of NCP, Derek O’Brien, Ramgopal Yadav, Satish Chandra Misra, Omar Abdullah, Mohd Salim and T K Rangarajan, Manoj Jha, Sanjay Singh, D Raja, Danish Ali, N K Premchandran, Badruddin Ajmal and K G Kenye.